Today's big deal lets you pick up the 128GB 9.7-inch iPad with Wi-Fi for the price of the 32GB model. If you were planning on getting someone an iPad for a holiday gift, today’s a good day to do so. Right now Walmart is selling the 2018 128GB 9.7-inch iPad with Wi-Fi for a mere $329Remove non-product link, down $100 from its normal retail price. Or put it this way: $329 is Apple’s normal price for the entry-level 32GB model, but Walmart’s offer gives you four times the storage for the same amount of money. Believe me, you’ll probably want that storage, particularly if you plan on keeping your tablet stuffed with a lot of photos, games, or movies. If you don’t need all that, though, you’ll be happy to know that Target is selling the entry-level 2018 32GB 9.7-inch iPad for just $250Remove non-product link. That’s a savings of $80. If you don’t need all the extra storage for downloading media or games, you’ll find this is a great device for reading, taking notes, or lightweight work. Keep in mind, too, that the 2018 9.7-inch iPad comes with first-generation Apple Pencil support, which previously was only available to owners of the iPad Pro. That means you can use this device to draw, take handwritten notes, or easily highlight PDFs for work or school. WalmartRemove non-product link and TargetRemove non-product link both sell the $100 Apple Pencil, but it’s not really on sale at either location. Walmart does offer a small $5 discount, though, allowing you to pick it up for just $95. 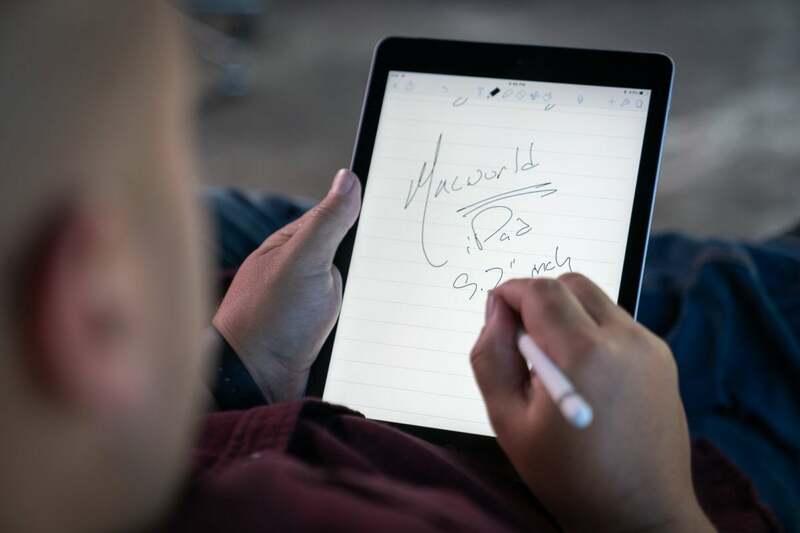 "In our review of last year’s 9.7-inch iPad, we said it was a 'better choice than the iPad Pro for a lot of users,' and the addition of Apple Pencil support and a faster processor makes that especially true for this year’s model. For $329, you’re getting a stellar tablet that feels as though it’s very capable, although without some quality-of-life features. For a general-purpose tablet for school, business, or pleasure, it currently doesn’t get any better than this." I’ve been seeing a lot of great deals on iPads lately, but these certainly count as some of the best. I can’t imagine the prices getting much lower than this before the holidays, though, so I’d hop on these deals while you still can.